I grew up within 45 minutes from the ocean and had the best childhood a girl could ask for in the fine State of Delaware. I lucked out and got accepted to nursing school within a mile from the ocean and lived there for 2.5 years. Little did I know I would meet my true love and move out west and become a desert lover at the age of 24. 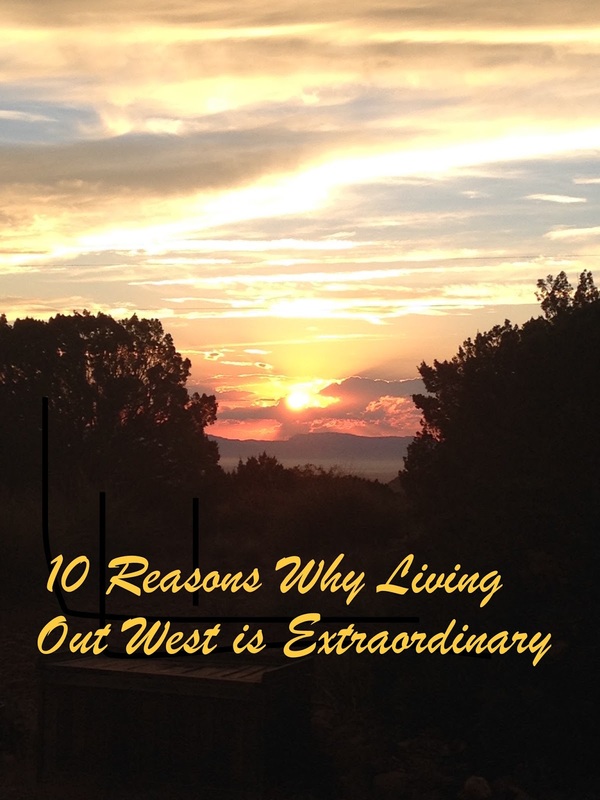 Having a military spouse has allowed me to explore the western U.S. We have absolutely loved living in Colorado, Nevada and now, the Land of Enchantment, New Mexico. My childhood and early adult years were amazing and I wouldn't trade them for anything, but I am glad that our future children (whenever God decides to bless us) are going to have a wonderful childhood growing up in the western U.S.
Mountains, mountains and more mountains! We can escape the desert heat and be in the mountains within 20 minutes. The best sunsets I have ever seen are in New Mexico. I have lived in four states and none of them have sunsets like NM. Skiing! Although I haven't been in a few years due to recent changes in our life. Colorado holds a special place in my heart. I learned to ski at Breckenridge and Seth and I made three ski trips with our Vegas crew to northern Utah and Lake Tahoe. We have a local ski area less than an hour from us and I plan to get my ski legs ready in the fall to prepare for next winter. No humidity! Zero, zilch, none! End of story. No mosquitos! I get eaten alive overtime I travel to Delaware to visit family in the summertime. I don't miss mosquitos one bit. Unique wineries. I have only visited one winery in New Mexico, but I attended a Wine & Nut festival back in the fall and found the best wine in my local area. My favorites are from a little winery in Ruidoso, which is less than an hour from our home. I'm not a white wine lover, but their white wine is delectable and so are two of their red wines. The name of the winery is Noisy Water Winery. My favs are: Tighty Whitey, Dirty and Big Legs Red. There is another winery in Artesia that has a great bottled sangria too. It's hot, like really, really hot in the summer, BUT if you have a shaded patio or umbrella in the summer, you are golden. With the absence of humidity, you don't sweat like a pig when in the shade. Local grown pistachios! Who doesn't love pistachios!? Fresh tostadas! Our local market has a tortilleria and their tostada chips are out of this world! Local salsa! I have tried various brands of salas and typical salsa just doesn't cut it anymore. I guess I've become a snob. My favorites are from New Mexico. My favorite brands are: Pedro's from Albuquerque and Green Chile HATCH Salsa from Hatch, NM. Have you ever visited NM, CO or NV? What did you love about these beautiful western states? I'd love to hear from YOU! If you want to see more photos or hear more about NM, let me know and I'll be sure to share them with you! Thanks for stopping by JennyPennyAho!